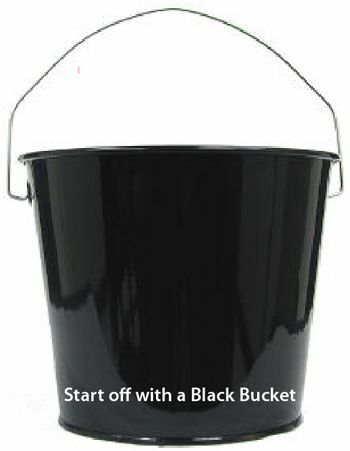 Start off with a black bucket. 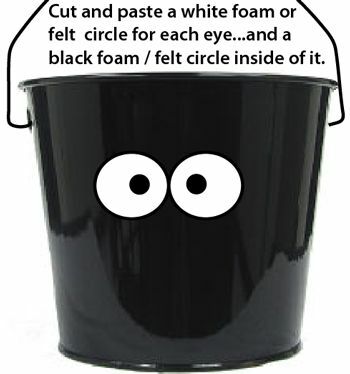 Cut and paste a white foam or felt circle for each eye… and a black foam/felt circle inside of it. 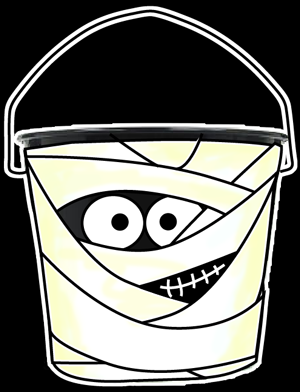 Wrap gauze or white strips of an old sheet… all around the bucket… and glue down. 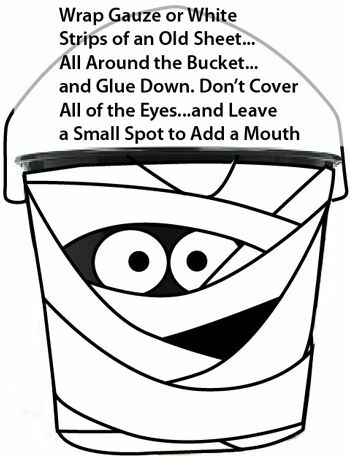 Make sure not to cover all of the eyes… and leave a small spot to add the mouth. 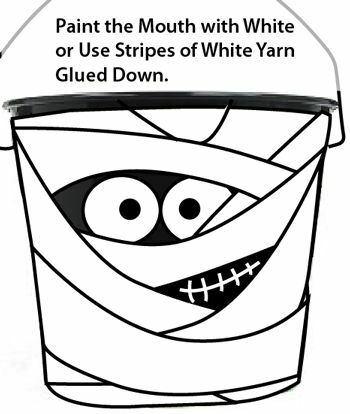 Paint the mouth with white or use stripes of white yarn glued down. 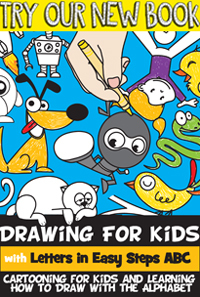 It’s super cute, right?! And, it’s so festive for Halloween. 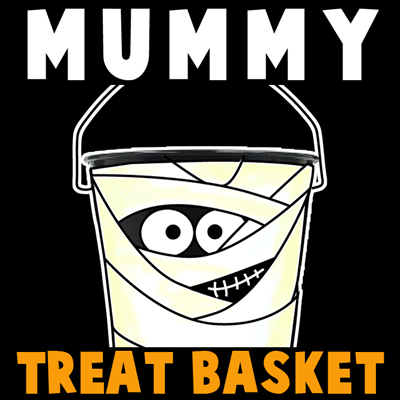 If you make this Halloween trick or treat basket craft let me know in the comments how it turned out. I would love to hear all about it.